E-labeling, smart packaging and global partnerships offer new ways for companies to create more loyal customers and increase profitability. In 2018, these factors will be crucial to succeed in, for example, the food industry where customers’ demands on transparency are increasing. 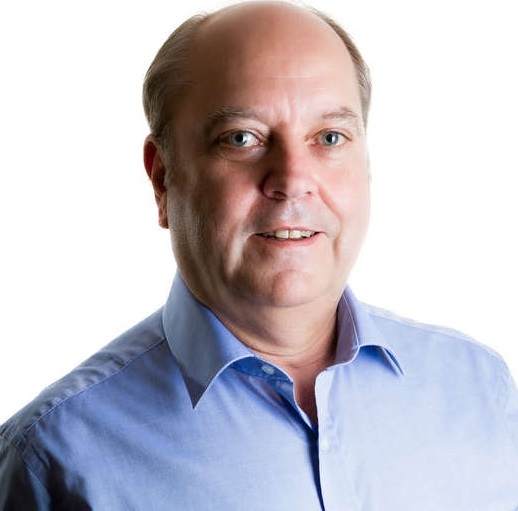 These are the 2018 process manufacturing predictions of Colin Elkins, Global Industry Director for Process Manufacturing at IFS. Imagine it: You pick up a can of soup in your local supermarket and see two ingredients on the label—E948 and E242. What is the difference? E948 is oxygen. (No problem there). But did you spot it? That is right—E242 is dimethyl carbonate, a hazardous chemical that causes skin, eye and respiratory irritation. This example reminds us how powerful labeling is, and how deeply many consumers care about it. Recent Kerry Group research showed 74% of consumers regard clean labeling as the most important factor when buying food today. And 9 out of 10 of the 53% of consumers who read labels are willing to pay more for clean-label products. In 2018, we’ll see two powerful trends in food processing converge—clean labeling and e-labeling—and together they offer a decisive competitive edge to early adopters. If we are what we eat, we better be 100% sure we know what is on the end of our forks. The drive for transparency and traceability in food labeling has never been stronger. Clean labeling has, until recently, been associated with lifestyle consumers and vegetarian chains. But it has made major inroads into the High Street too. Aldi recently pledged not to use 200 additives and preservatives in their products, many fairly common in processed foods. And Walmart too has realized the increased sales and loyalty that come with cleaner, more transparent labeling. It’s Great for You labeled range, where products must meet a range of freshness and nutritional criteria to be awarded the label, was introduced in 2012 and has grown enormously in recent years. Now over 30% of Walmart’s food items carry the Great for You label. And in 2017, the US Consumer Goods Forum (CGF), a network of 400 consumer goods companies in 70 countries, announced it intended to simplify food labels by 2020. E-labels: Just labels, or new sales channels? With governments, industry bodies, consumer groups and major retailers pressing for more transparency, more information—but simpler labels, e-labels are a powerful solution and potentially an appealing, immersive new sales channel too. QR codes on food products can take shoppers to a website where they will not just see required regulatory information, but allergen inclusions, the environmental story of the product, its GMO status, which farm and farmer it came from, its ethical credentials, green benefits and the brand’s corporate social responsibility (CSR) efforts. For the consumer, e-labeling means more traceability, transparency and trust. For the producer, it means more upselling and point-of-sale engagement with younger generations of smart, mobile, eco-savvy consumers. But it does not stop there. E-labeling also offers the tantalizing prospect of more personalized, interactive labeling too. Labels that let a DIY shopper, for example, enter the dimensions of a room, when considering which paint or blinds to buy, modeling the contents of the package in the room on a screen. With next-generation Near Field Communication (NFC) technology, shoppers would not even need to swipe, wait or download to access these data-rich, immersive labels. Just going near products would trigger a push notification instantly. Waste: For producers, the planet and people, it has never been so urgent. Worldwide, four billion tons of food is wasted every year. In America, 50% of food is never eaten. And in the same country, every year, 33% of the meat the average American buys is never eaten. Waste is a business, social and environmental emergency. EU law on packaging changed in 2015, allowing a range of elements to be included in packaging as long as they do not change the flavor of the product. I believe that by the end of 2018 we will start to see smart packaging break through to regular retailers, powered by corporate and regulatory initiatives on waste, beginning with meat. More an art than a science, the “best before” and “use by” dates on today’s food packaging are not exact—meaning wasted produce and time. What if the packaging itself could tell you exactly how long a product had left, or when it was at its peak? Down to the nearest hour? The volume of time, food and cost saved would be a powerful competitive edge. This kind of smart packaging is already here. Take fruit packaging company ripeSense, for example. An intelligent sensor on the fruit’s package label changes color to tell consumers exactly how ripe their fruit is, from crisp (red) to firm (orange) to juicy (yellow). The sensor reacts to aromas released by the fruit as it ripens. ripeSense’s smart packaging lets shoppers buy their fruit just how they like it while extending the life of the product and reducing waste significantly. The global smart packaging association, the Active & Intelligent Packaging Industry Association (AIPIA), calculates the current market for active and intelligent packaging to be worth € 1.35 billion a year, set to double every five years. The widespread uptake of intensive, waste-reducing smart packaging could turn that growth exponential. 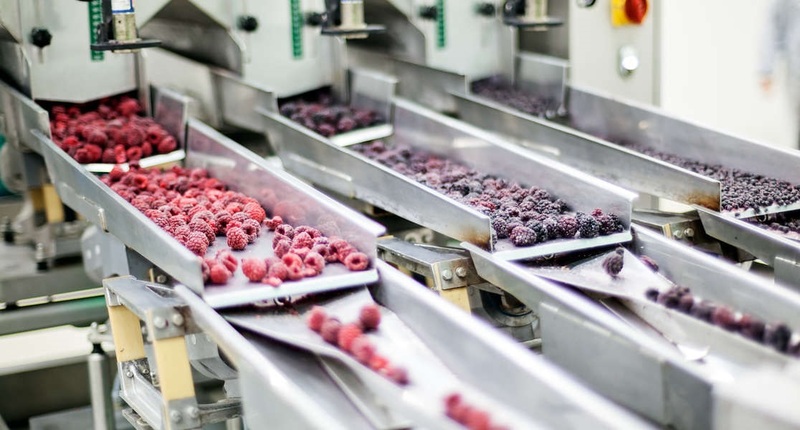 And with ever more affordable maturing technologies like optical, radio-frequency identification (RFID), bio sensors, chemical sensors and gas sensors, the shelf life of all fresh products could be extended by days—adding time, planning and revenue to process manufacturers’ businesses. “Keep your friends close, and your enemies closer.” Whether you believe it was Sun Tzu’s 5th century classic The Art of War or Michael Corleone in The Godfather II who said it first, 2018 does look like being the year “frenemies” and “coopetition” become the real drivers of globalization. And as recent collaborations between Kellogg, Pillsbury and Nabisco on their online sales have shown, in a world of scarce resources, cooperation with competitors delivers major benefits. Mergers and acquisitions have, until recently, been the most common method for companies to secure materials and supply globally–but costs and challenges come with the territory. Acquiring a supplier in Brazil, for example, may secure a certain resource, but create new complications in the process. Agile joint ventures and looser partnerships could well become the new normal in 2018, as competitors work together to innovate, get the greatest value out of their supply chains and secure raw materials. More innovation creates more diverse product ranges, which in their turn drive more small-to-medium players into the industry—requiring increased collaboration, and, yes—coopetition. A collaborative, ‘know your frenemy’ approach, for example, strengthens manufacturers in range reviews. Finding someone who can do the things you can’t, and vice versa, enlarges your offerings to retailers without necessarily requiring major capital investment. And again, as with all these trends, ensuring you have the right kind of web and cloud capacity ensures you can compete and collaborate with all your resources—everywhere you need them. Do you have questions or comments about any of the 2018 process manufacturing trends? What are the new trends for worker safety and efficiency?